Unplug! Experience nature and enjoy the Bay Area’s trails. 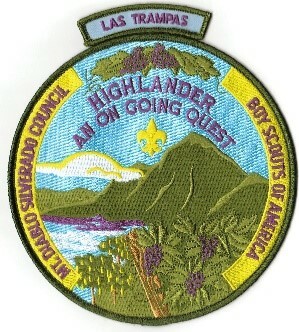 Pack 1776 will once again be participating in two hiking programs put on by our council, Mt. Diablo Silverado Council (“MDSC”), and the San Francisco Bay Area Council (“SFBAC”). Participation in these hikes go towards hiking patches and requirements for the National Summer Time and Outdoor Activity awards. MDSC’s program is called the Highlander and includes hikes across Contra Costa County such as Las Trampas (San Ramon), Black Diamond Mines (Antioch), Mt. Diablo (Danville) and Briones (Lafayette). SFBAC’s hiking program is called Trail Trekkers and encompasses hikes such as Little Yosemite (Sunol), The Hoot Owl, Black Diamond Mines (Antioch), Huckleberry Botanical Preserve (Oakland), Morgan Territory (Livermore), Redwood Creek (Oakland) and so on. 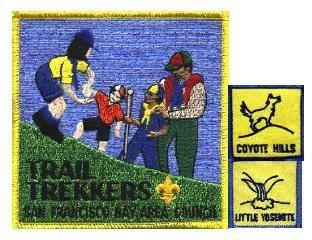 Both programs offer a center patch and smaller ones called “rockers” which surround the center patch and identify which hike a scout has completed. We will be doing a modified version of the programs, mixing in hikes from both patches as we go and awarding the center patch after the completion of three hikes. The center patch will be awarded in a ceremony at the pack meeting following the third eligible hike. Further, while the Pack isn’t working on this program as a group, some of these hikes will be on East Bay Regional Parks land which will qualify you towards their East Bay Regional Parks Trail Challenge. There is also a standalone hiking patch called the Cub Scout Presidio Historical Trail which is for a 3.5-mile trail in San Francisco’s Golden Gate National Recreation Area. We will be doing a modified version of the hike which starts at the Presidio Visitor Center, down to Fort Point, up to the Golden Gate Bridge and throughout the Presidio. Information about these hikes and the patches can be found in the Hiking Patch section on the Pack Website.